The largest senior care provider association in the Mid-Atlantic. PDPM Bootcamp Will Get You Prepared. LifeSpan is offering a multi-class learning package to prepare you for the coming changes. Don't pass up this opportunity! 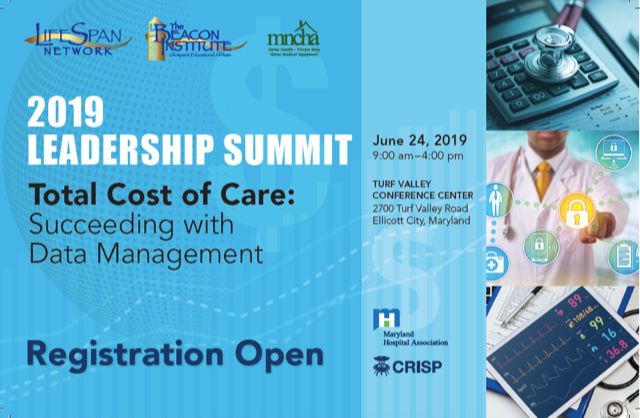 Join LifeSpan at their 7th Annual Leadership Summit on June 24th, 2019. Titled 'Total Cost of Care - Succeeding With Data Management' this one day conference will look at leveraging data to contain costs and provide improved outcomes. LifeSpan is known for its ability to effectively advocate on behalf of quality senior care organizations across the spectrum of care. Stay connected to the policies that affect your business. Track the bills that impact your industry. Advocate on behalf the senior care field. 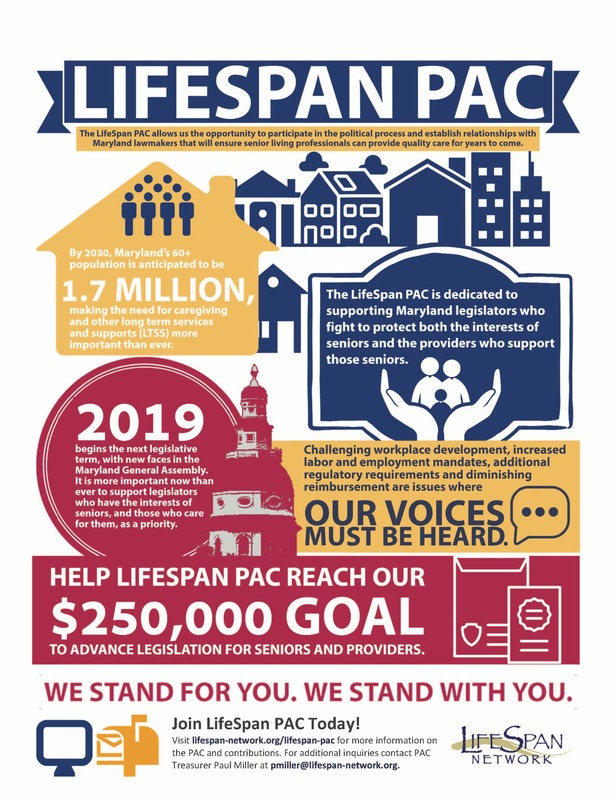 Support the LifeSpan Political Action Committee (PAC). We stand for you. We stand with you. LifeSpan Network is the largest senior care provider association in the Mid-Atlantic, representing more than 250 senior care provider organizations in Maryland and the District of Columbia. LifeSpan’s members include not-for-profit and for-profit facilities providing care and services to seniors across the continuum of care, including: independent living, assisted living, nursing facilities, continuing care retirement communities, subsidized senior housing, community-based and hospital-based programs. Providers and professionals involved in senior care in Maryland and the District of Columbia turn to LifeSpan Network to learn about the latest legislation and trends in senior care. LifeSpan’s Beacon Institute provides education for senior care providers, and offers scholarships as well as many other programs. We also offer a number of great products and services that providers can take advantage of to help them save money and run a more efficient community.